As primarily a jazz organist, I mostly prefer a clean organ tone with plenty of headroom. Only when I really push the expression pedal do I want to hear the Leslie break up a bit, adding just a pinch of grungey spice to the Hammond stew. Recording ‘Jim Alfredson’s Dirty Fingers – A Tribute to Big John Patton’ at GBP Studios in E. Lansing, MI. That’s a 1957 Hammond C3 with a 1958 Leslie 21H connected (not shown). My ideal sound for classic organ jazz. But I also grew up listening to the progressive rock keyboard gods of the late 1960s and early 1970s. One thing they all had in common was the Hammond organ and the most iconic among them liked a lot of dirt in their sound; Jon Lord (Deep Purple), Dave Stewart (Egg, Hatfield & The North, National Health), Tony Kaye (Yes), and of course Keith Emerson (The Nice, Emerson Lake & Palmer). A few years back, when I began recording my debut progressive rock album THEO – The Game of Ouroboros, I embarked on a quest to get that gnarly tone for my Hammond tracks as well. In the age of digital Hammond organ emulators (known in keyboard parlance as ‘clonewheels’), the quality of the overdrive varies widely. My first clonewheel, the Roland VK-7, had a dedicated overdrive knob on the front panel, but it wasn’t all that convincing or useful. I tended not to use it and relied on a real Leslie 122 for the grunge instead. My next board, the Hammond XK3, had two real vacuum tubes in the outputs stage to accompany it’s Tube Overdrive knob, but again I never found the effect all that useful to be honest. And my current organ, the Hammond SK2, also has a dedicated knob for overdrive with four digital models of distortion available, my favorite being the EP Amp setting. But despite all these options, I still cranked my old Leslie 122, boosted the output on my 1954 Hammond C2, and recorded that combination for THEO. It just sounded the way I wanted it to sound. Tracking my Hammond C2 through a Leslie 122 for THEO – The Game of Ouroboros in 2014. Currently my favorite overdrive for organ comes from the Neo Instruments Ventilator pedals. It accurately emulates the sound of a tube Leslie driven pretty hard. But what if you want something even more? What if you want that overdrive to sound like the Leslie is about to blow up? What if you want some nasty, Jon Lord fuzz? Enter the Organ Grinder from Lounsberry Pedals. The Organ Grinder is a stand-alone pedal in the standard guitar pedal format, but made specifically for keyboardists. Greg Lounsberry builds each pedal by hand at his shop in Smithsburg, MD. According to his website, the Organ Grinder was designed and built by request of Roger Powell, another of the 1970s progressive rock gods, best known for his work with Todd Rundgren’s Utopia. Roger was evidently dissatisfied with the overdrive in his clonewheel and asked Greg to make a pedal with the kind of pleasingly ‘flabby’ overdrive a real Leslie imparts. Roger Powell performing with Utopia in 1978. The Organ Grinder is beautifully made, with a candy-apple red powder-coated chassis, two Gold Speed knobs, and fantastic front panel graphics by steampunk inspired artist Mark Hershberger. It’s not only gorgeous but extremely simple to use. It has a true analog bypass ON/OFF switch as well as the two knobs, one for LEVEL and the other for DRIVE. The input and output jacks are on the back instead of the sides (a thoughtful touch for keyboardists) and it has a 9v DC input jack on the left side. It can also be powered by an internal 9v battery. The front panel is finished by a blue LED between the two knobs to signal the effect is on. It’s a solid state analog pedal utilizing FET transistors and germanium diodes. The hand-wiring is pristine and well executed. I would have no qualms about using this pedal on stage in terms of reliability. All the parts are high quality and the workmanship is top shelf. So how does it sound? Let me put it this way: I’m currently working on a follow-up to THEO. I compose the songs in Cubase first, creating demo parts for each instrument in order to solidify the arrangement before replacing those parts with both real instruments and real players. For one of the songs, I used GSi’s VB3 software to demo the organ part. My original plan was to replace the track with the 1954 Hammond C2 and Leslie 122 combination mentioned above. But I decided to pull out the trusty Hammond XK3 instead, mainly because I wanted to use some effects on the organ itself. The XK3 makes this easy with it’s effects loop and standard outputs. So I connected my Mini-Vent rotary pedal, an Eventide TimeFactor, and an Eventide SPACE to the XK3. I set the overdrive on the Mini-Vent as high as it would go and it sounded nice, but I wanted more grunge for this particular song. So I connected the Organ Grinder pedal before the Mini-Vent, turned off the Mini-Vent’s overdrive, and engaged the Organ Grinder. I’d be lying if I said the sky opened and the angels sang… not only because it didn’t happen but my studio is in the basement, so I wouldn’t see it anyway. BUT… I did get a very big smile on my face as I found the perfect drawbar registration to compliment the absolutely devastating overdriven tone I was getting out of that old XK3. Whoa! I’ve never heard the XK3 sound that nasty. And it fit the track perfectly. The overdrive was even through the frequency range, never crispy or harsh, and with the rotary simulation of the Mini-Vent, really did sound like a poor Leslie tube amp about to blow it’s 6550 power tubes through the top of the cabinet! Next I tried it on my 1968 Wurlitzer 206 electric piano on that same song. Again, I was smiling as it added just the right amount of grunge to the instrument, far better than any other overdrive pedal I’ve tried on EPs before (and I’ve tried dozens). The Organ Grinder is musical and natural; just like a tube circuit. From the first note you know it’s made for keyboards, with none of that midrange bump so prevalent in guitar pedals. Yes, you can play left-hand bass through this and it sounds great. The Hammond XK3 with Mini-Vent and Eventide pedals. Are there any cons to the Organ Grinder? The only one I can think of is that it is a mono pedal. If you want to use your clonewheel’s rotary speaker emulation in stereo, and it doesn’t have an effects loop like the Hammond XK3 or XK3c, then you’re out of luck. Perhaps if the Organ Grinder is successful or there are enough requests, Lounsberry might make a stereo version. I would definitely welcome it! Needless to say, I’m keeping the tracks. And I’m keeping the Organ Grinder. Kudos to Greg Lounsberry for making a pedal that fulfills a real need in the modern keyboardists’ arsenal. Go get one! Thanks for reading and you can hear the Organ Grinder in action by watching the video below. In August of 2014 I had the distinct pleasure of headlining the Old Town Lansing Jazz Festival (now called the Lansing Jazz Festival) with my band Dirty Fingers. I assembled an all-star cast including Oakland University’s Sean Dobbins on drums, guitarists Larry Barris and Ralph Tope, saxophonist Mark Kieme, and vibraphonist Jim Cooper. 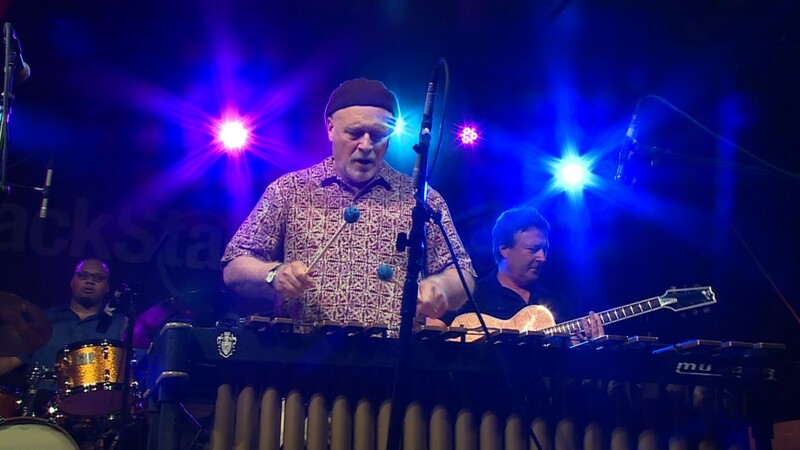 During the second part of the set some special guests joined the band onstage including New York organist Brian Charette, the inimitable Fareed Haque on guitar, and Michigan State University Jazz Professor Michael Dease on trombone for a fun jam session. 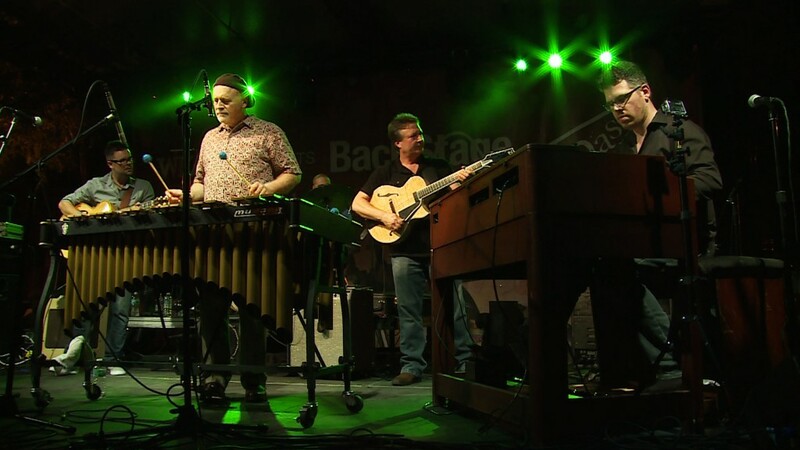 You can watch both sets via the WKAR page. In honor of Big John Patton’s birthday (b. July 12th, 1935), here is the entire 90 minute DVD I included as a bonus to some of my Kickstarter backers for the Dirty Fingers – A Tribute To Big John Patton project. Big John Patton was a big inspiration on my playing and I’m very proud of this record. It is the only tribute album for him of which I’m aware. Enjoy and please subscribe to my YouTube channel. I thought I would post this piece here to hopefully gain more exposure to the thoughts within and begin a dialogue. NOTE 2: I’m currently running my fourth crowdfunding campaign for the latest organissimo album entitled “B3tles – A Soulful Tribute to the Fab Four”. It is happening here. As of this writing, my second Kickstarter project is about halfway to the finish line. Unfortunately it is also behind in terms of reaching my funding goals. I realize my last project was only six months ago (the very successful CD “Dedicated” by organissimo) and I also realize that, like last time, I’m asking for quite a tidy sum of money. I’d like to take a moment to explain why I’m asking for that amount but more importantly why crowd-funding is so important to independent, niche musicians like myself, using my last successful project as an example. The Kickstarter for organissimo’s “Dedicated” reached it’s funding goal of $12,000 on October 15th, a full two days ahead of schedule. It finished slightly above the goal at $12,275. Kickstarter and Amazon (who processed the payments) each took 5% right off the top. So that left us with $11,047. I tracked and mixed the album myself, spending $274.50 on a suite of plug-ins for my DAW. That is the only money that I personally received from the campaign for my role in the production of the CD. Not only did I perform on the disc, write songs for the disc, engineer the disc in my home studio (with gear that I purchased myself), and spend countless hours fixing and mixing the audio, but I also did all the promotion for the crowdfunding campaign, handled the management of the Kickstarter, updated the websites, contacted the photographer, graphic designer, radio promoter, and mastering engineer, scheduled all those folks to do their thing, processed the payment for all those folks, contacted press people, and generally oversaw every little aspect of making the campaign and then the CD a reality. And I did not pay myself one cent for any of this except for buying those plug-ins in order to be able to mix the audio. I literally spent hours and hours and hours putting this CD together and I did not receive any money except to buy those plug-ins. Drummer Randy Marsh did not receive any money either. Guitarist Ralph Tope was paid a small severance package when he left the band in order to protect the group’s rights to the music (which ate up the “extra” money I had calculated into the budget). Indeed, I actually spent hundreds of dollars of my own money on postage, after the post office either lost or delivered half-empty packages to over half the people who purchased the “organissimo box set” as part of the Kickstarter. The budget was so tight that by the time the packages were lost, there was no more money to mail new ones and so I picked up the cost myself. The post office also raised prices on international shipments by 200% and I had to eat those costs as well. 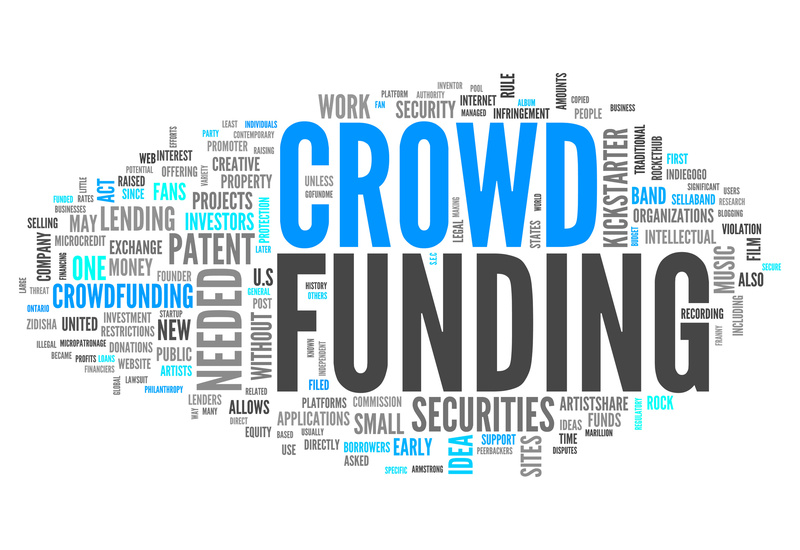 Which brings me to my next crux of the biscuit: Why is crowd-funding so important? Within one week of organissimo’s Dedicated being released it was available on blogs and torrent sites on the internet for free. You can go find it right now with a simple Google search. 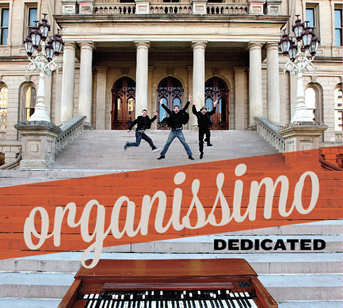 In fact, you can find every single organissimo album for free with a simple Google search. I hope you don’t, but if you want to, you can. In the digital age, musicians no longer have any control over how their product is distributed. This is why we must receive money up front to record the music. Waiting until after it is released is foolish and financially ruinous for independent artists like us. And that means we need you, the fans, to step up and help us make it happen. You are vitally important to the process. You are essentially our label. Without you, we have no viable way to record and release music. The last four organissimo CDs cost about the same to produce as the goal of the Kickstarter: between $10,000 and $12,000. I was able to curb a lot of that by tracking and mixing Dedicated myself and so we spent the money not used on studio time for promotion. One thing I’ve learned as an independent musician is the importance of promotion. Most musicians don’t like to talk about themselves and their art, but the truth is if you’re not going to promote yourself, who is? But merely talking about yourself can only take you so far. The great thing about the modern age of digital technology is that anyone can make an album. The horrible thing about the modern age of digital technology is that anyone can make an album. Radio stations (especially college stations and those that play Americana, jazz, blues, etc.) are absolutely inundated with hundreds upon hundreds of CDs every month. They simply cannot take the time to listen to them all. The same is true of music writers. You must have a gatekeeper, someone they trust, who they know will only send good stuff, in order for them to take the time to check out your project. You need a trusted radio promoter and a trusted publicist. Without promotion, Dedicated would’ve done nothing. With radio promotion it was able to hit #5 on the national jazz charts, #2 on the college jazz charts, and has lead to more sales and more opportunities for the band. Promotion is immensely important and that’s why over 30% of the Kickstarter budget for Dedicated was for promotion. But that promotion doesn’t come cheap. Before crowdfunding, we would personally go into debt every time we recorded an album. It would literally take years to pay that off. As file sharing becomes easier and more prevalent, it takes longer and longer to pay off that debt. Our first disc took 2 years to pay off. The second 3 years. The third 4 years. The pattern is clear. THEO – The Game Of Ouroboros – Successfully crowdfunded in 2015. And so, to answer the question “Why is crowd-funding so important?” It is important because it is no longer financially feasible to go into debt to produce an album. And that is because of file-sharing. The only way to guarantee that I’ll be able to make an album is to secure financing up front. And that’s where you, the fans, come into play. If you want the music to be made, you have to support it on the front end. Give me your pledge of support up front and I will produce the music for you to enjoy. That’s my promise to you. I hope I can count on your support in my musical endeavours. I hope my music and my gear reviews and my advice and expertise when it comes to all things Hammond is valuable to you. Beyond the current crowdfunding campaign (http://bit.ly/2elcnGU) I am currently working on a progressive rock project of all original material (with me singing!) that is reminscent of the 70’s keyboard-centered prog, but not derivative thereof. (UPDATE: This project has been successfully crowdfunded and released as THEO- The Game of Ouroboros.) I also have several project by good friends that I am producing / engineering / consulting on and many many more ideas up in this crazy head of mine. If you know me, you know the music is going to be great regardless. Thank you for reading and thank you for caring about independent artists like myself. KIOS FM in Omaha NE has named my CD, Jim Alfredson’s Dirty Fingers – A Tribute To Big John Patton as a Top 12 release in 2013. I’m thankful and honored. Got your copy yet? It’s available via the Big O Store, Amazon, CDBaby.com, and iTunes. As a companion to my Hammond XK1c Quick review, here’s a video demo of the XK1c in action. I took one of the tracks from my Tribute To Big John Patton sessions last August and muted the original organ track. I then overdubbed myself playing the XK1c instead. I think it sounds very good! Such demos are important because they demonstrate how the instrument fits into a mix with a band. I considered connecting the XPK-200L bass pedals to the XK1c and kickin’ a bit of bass, but I decided to just do left hand bass instead. The XK1c was recorded directly into Cubase 7 from it’s 1/4″ outputs. The onboard Leslie sim is used. I added a bit of the session reverb from the track to help it sit into the “room” with the other instruments. Jim Alfredson’s Dirty Fingers – Available everywhere! 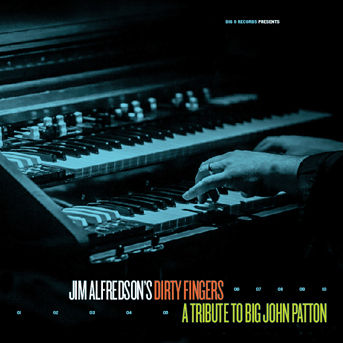 My new CD, Jim Alfredson’s Dirty Fingers – A Tribute To Big John Patton, is available all over the web for your enjoyment. It’s currently enjoying a lot of excitement and airplay from radio stations across the US. You can order a physical copy from Amazon.com, CDBaby.com, or direct from the Big O Store, which is my label’s outlet. Note that the Big O Store is the only place you can also purchase the companion DVD, featuring 90 minutes of music including three tracks not on the CD. If digital downloads are more your thing, it is also available in mp3 format on Amazon, iTunes, CDBaby, and more. Here are some examples from the companion DVD, again only available via the Big O Store. 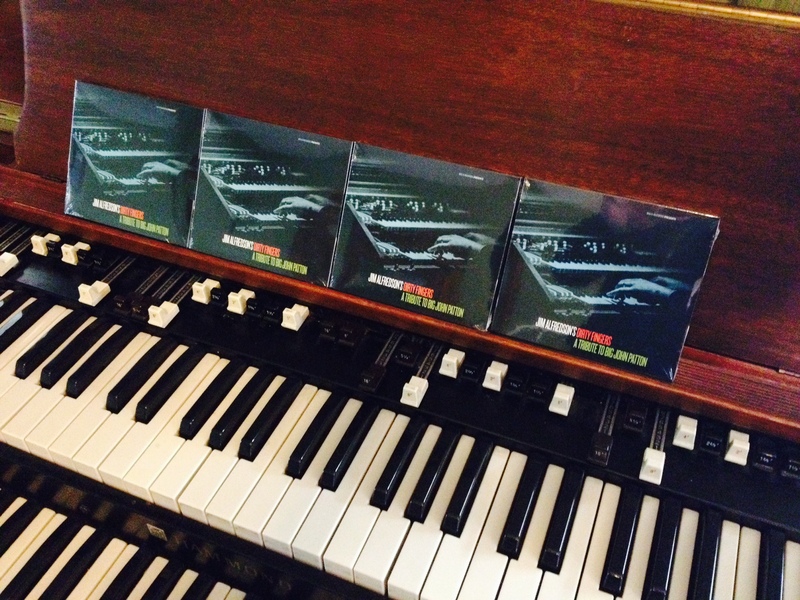 My newest release, Jim Alfredson’s Dirty Fingers – A Tribute to Big John Patton, has arrived from the duplicators. It looks really great! Designer Rick VanderLeek did an amazing job. The photographs from Jessica D. Cowles are vivid and full of energy. 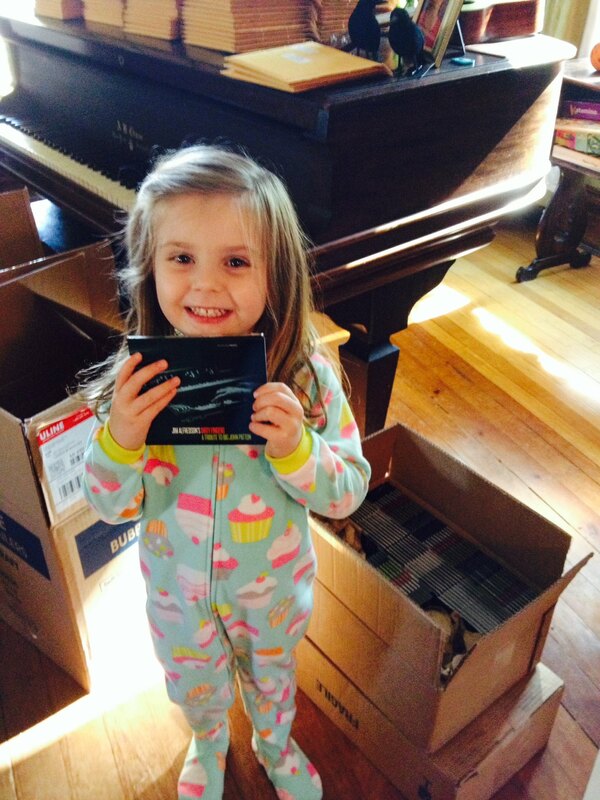 The news CDs are here! The new CDs are here! I’m very excited about this release. The music is classic 60s soul-jazz with a group of incredible musicians. Big John’s compositions and playing are a huge influence on me and he has not received the recognition he is due. I hope this releases helps mitigate that a little. The last step in this process is to duplicate the DVDs, which I am doing locally. The DVD is an extra add-on that will be slid into the pocket of the CD package, along with the liner notes. I decided upon this route to save some money. Having two trays in the packaging would be expensive and I was also worried about those that didn’t order the DVD seeing that extra tray and assuming something was missing. Shipping to all Kickstarter backers should be done by the end of the week. The CD is already getting airplay around the country. Here’s a little taste for those that may have missed it the first time around. My next project is a departure from the jazz thing. Its a progressive rock album of original material with me singing (and playing keys, obviously). More about that soon. I’m really excited that another project is almost coming to fruition. My tribute to Big John Patton is in the final production stages and should be sent to the duplicators early next week. I posted another video from the upcoming companion DVD on the ol’ YouTubes. This clip features just the trio of myself, Ralph Tope on guitar, and Randy Gelispie on drums. Listen to that ride cymbal work. Randy is the walking definition of ‘master’.